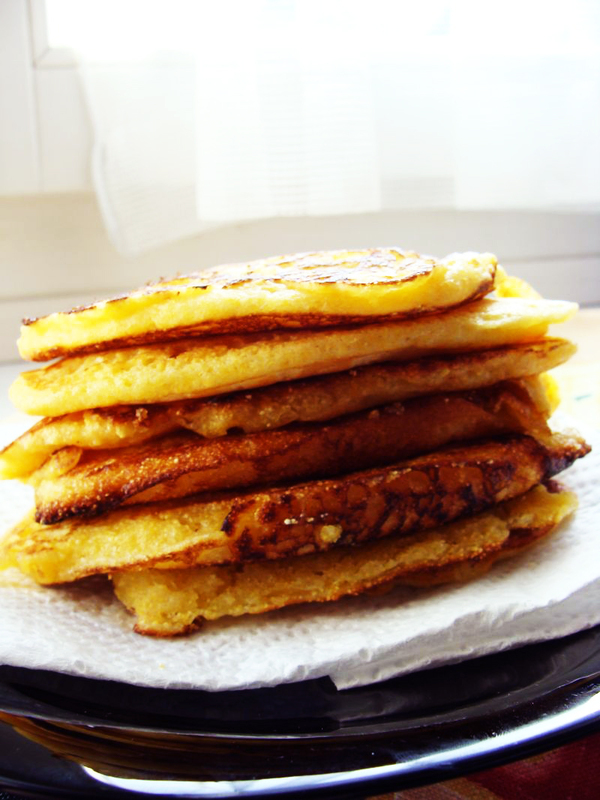 I found this recipe here and made these pancakes but I am not convinced to the corn flour. I wanted to try it in the pancakes to see whether the texture will be something I would like. On a scale from 1 to 10 I give them 5. They are tasty but I would change them for regular pancakes any time. Still believe it’s worth to try though.